Ichiro Suzuki had a goal in mind when he was readying for his transition from Japan's Nippon Professional Baseball to Major League Baseball in the winter of 2000. "Sometimes I am nervous, sometimes anxious," he said then, according to Michael Farber of Sports Illustrated, "but I want to challenge a new world." This is more or less what's being celebrated this week in Tokyo, where Ichiro and the Seattle Mariners will officially kick off the 2019 MLB season—his 28th in professional baseball—with a two-game set opposite the Oakland Athletics. The 45-year-old outfielder isn't the star that he used to be, yet you'd never know it from the hero's welcome he's received on his native soil. "This is a great gift for me," Ichiro, who's typically a man of very few words, said Saturday, per MLB.com's Greg Johns. "I will treasure every moment here on the field. One week after this event, I will be reflecting back on these days, so I will make sure I remember every moment here in Japan." In all likelihood, Ichiro's days with the Mariners in Tokyo will be his last in a major league uniform. Following his ostensible retirement in 2018, the Mariners are giving him one more shot via a minor league contract. However, it will presumably only last as long as their allowance for a 28-man roster for the two-game set against Oakland. None of Ichiro's recent numbers—e.g., a .205 average and .460 OPS last season and an .080 average and .259 OPS this spring—warrant a long leash. If this is indeed Ichiro's final curtain, well, so be it. There's nothing more he must add to a legacy that will inevitably make him the first Japanese player ever elected to the National Baseball Hall of Fame. Ichiro's journey began in earnest when he played his first professional season with the NPB's Orix Blue Wave as a mere 18-year-old in 1992. By the end of the 2000 season, he owned a .353 average, a .943 OPS, 118 home runs and 199 stolen bases, plus seven Pacific League batting titles and three MVPs. There was thus little doubt in Japan that Ichiro would follow the examples of Hideo Nomo (the 1995 National League Rookie of the Year) and Kazuhiro Sasaki (the 2000 American League Rookie of the Year) to success in MLB. According to Farber, the "national conversation" in the baseball-crazed nation concerned merely "the degree of Ichiro's stardom in the U.S., not whether he'll be a star at all." In the States, there were excuses for more tempered expectations. Though Nomo and Sasaki succeeded as pitchers, Ichiro would be the first Japanese position player to try to make his way in MLB. It was also fair to wonder how much a 5'11", 175-pound slap hitter could really help the Mariners overcome the back-to-back departures of superstar sluggers Ken Griffey Jr. and Alex Rodriguez. The Mariners, however, were confident enough in Ichiro to pay Orix $13.125 million just for his negotiating rights, plus another $14 million to Ichiro in a three-year contract. Chief executive Howard Lincoln referred to him as "one of the very best baseball players in the world," while general manager Pat Gillick pushed comparisons to Kenny Lofton and Johnny Damon. Los Angeles Dodgers pitching coach Jim Colburn, formerly the Mariners' Pacific Rim scouting director, shared an especially bullish prediction for Ichiro with Ross Newhan of the Los Angeles Times: "No one is expecting him to hit .350, which was his career average in Japan, but I think he might." Within his first eight games with the Mariners, Ichiro had put himself on the proverbial map with a game-winning homer and an other-worldly throw to third base that Mariners broadcaster Dave Niehaus commemorated as "something out of Star Wars." His stateside fame only grew as fans became more familiar with his ability to hit any pitch anywhere for any kind of hit, and with a decidedly unique style. He appeared to swing his bat and take off for first base all in one motion, and even his ground balls seemed calculated with NASA-like precision for coordinates just out of the nearest fielder's reach. "I wish you could put a camera at third base to see how he hits the ball and see the way it deceives you," Detroit Tigers third baseman Brandon Inge would later tell Brad Lefton of the New York Times. "You can call some guys' infield hits cheap, but not his. He has amazing technique." Ultimately, Ichiro made good on Colburn's prediction by leading the American League with a .350 average. He also led all of MLB with 242 hits and 56 steals. All of it had a supercharging effect on the Mariners, who matched the 1906 Chicago Cubs' single-season record of 116 wins. Though their season ended in the American League Championship Series, Ichiro was awarded a Gold Glove, a Silver Slugger and both the AL Rookie of the Year and MVP. There's never been a more out-of-place MVP winner than Ichiro in 2001. This was, after all, the very heart of the so-called steroid era, wherein every other player was a musclebound slugger who hit dingers in bunches. Heck, Barry Bonds won the NL MVP that year by slamming 65 more homers than Ichiro. Yet the popular perception of Ichiro's greatness wasn't out of whack with the reality of it. His mix of endless base hits, unstoppable baserunning and superb defense added up to 7.7 wins above replacement, according to Baseball Reference. He never exceeded 15 homers during those 10 years, but he topped a .300 average and 200 hits—including an MLB-record 262 in 2004—annually. Pete Rose is the only other player to ever achieve 10 such seasons, and his didn't come consecutively. Speaking of Rose, it's arguable that Ichiro's greatest hitting achievement is not surpassing 3,000 total knocks in the majors, but rather accumulating 4,367 total hits between his NPB and MLB careers. That's over 100 more than Rose's "record" of 4,256. This is not to suggest, however, that Ichiro's achievements are beyond skepticism. Though his major league career is only now coming to an end, Ichiro was finished as a star back in 2011, when he hit .272 and mustered only 0.6 WAR. And while his career average is an excellent .311, it's paired with only a .355 on-base percentage and a .402 slugging percentage. Per his 107 OPS+, he's only been a marginally above-average hitter in MLB. Further, Ichiro hasn't proved to be a trendsetter. Early in his career, it might have been possible to anticipate a wave of Ichiro clones who would return MLB to the contact-oriented, hit-'em-where-they-ain't era that preceded Babe Ruth's popularization of the long ball. Instead, strikeouts have steadily risen and home runs are as prevalent now as they've ever been. Give any baseball fan worth his or her salt a bat and ask them to imitate Ichiro's batting stance and swing, and chances are they won't need further instructions. He may also be the first player in baseball history to leave behind easily identifiable—though apparently not easily acquirable—stretching routines. "Ichiro's on-deck gyrations have become a Seattle model of cool," wrote S.L. Price of Sports Illustrated in 2002, "with Little Leaguers everywhere trying to keep their faces blank while contorting like pretzels." The flow of Japanese players coming to America has turned into more of a trickle of late, yet Ichiro's influence is still apparent. Among the relative newcomers who have referenced him as an inspiration are Yu Darvish, Masahiro Tanaka and, yes, two-way phenom Shohei Ohtani. There's a whole other discussion to be had about whether these Ichiro-triggered defections have been good for Japanese baseball. The cultural shift that he sparked, however, is a definite positive. "Japanese were once seen in the United States as a 'faceless' people obsessed with exporting cars and consumer electronics. The excellent play of the Japanese baseball players and their positive personalities have changed the American image of Japanese." 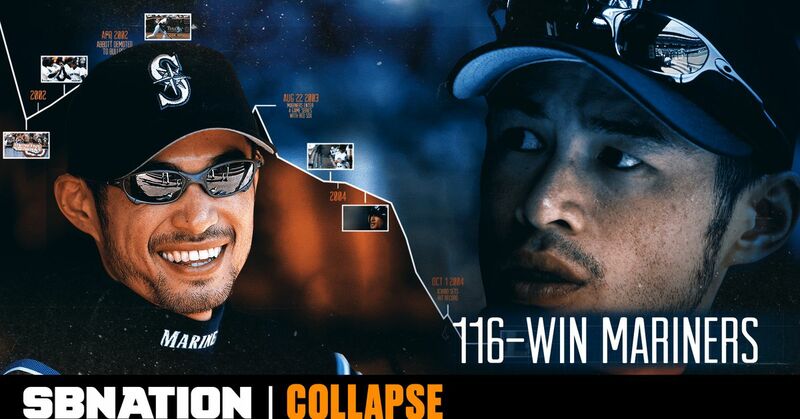 He didn't do it on his own, but this couldn't have happened without Ichiro Suzuki.